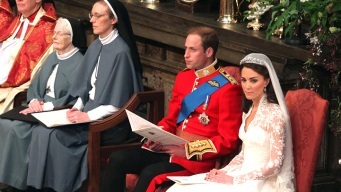 Prince William and Kate Middleton tied the knot in Westminster Abbey as the world watched. A day to remember, in pictures. 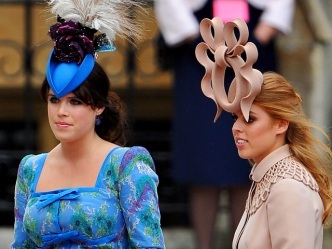 Pippa Middleton may have carried her sister's train, but style-wise, she nearly stole the show. 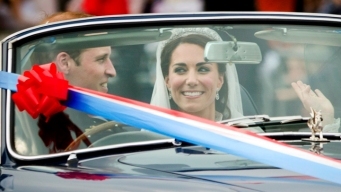 As the newlyweds take off, official wedding photographs are released. 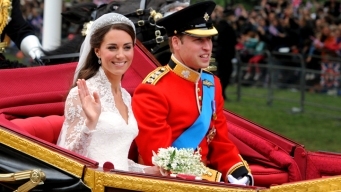 William, Kate Opt for "Staycation"
Kate, the Duchess of Cambridge, steps out in a second gown. Welcome to the internet age, royal wedding. How a cute, photobombing flower girl became an internet joke in the blink of an eye. Watch the whole thing in the time it takes to fry an egg. Not everyone wears a crown, you know.